Nighttime tours of the City of David are now available (photo by Max Richardson). Nighttime tours of the City of David followed by a 3D movie of Jerusalem’s history are now available every Thursday evening to travelers visiting Jerusalem. 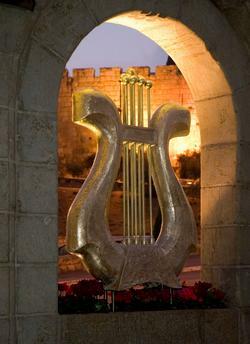 The tour features stunning lighting displays focusing on the newest archeological discoveries from the Biblical period, as well as harp music in the King’s Garden. For more information and tickets, visit http://www.cityofdavid.org.il . For more information about travel to Israel, visit http://www.EvangelicalIsraelExperience.com.